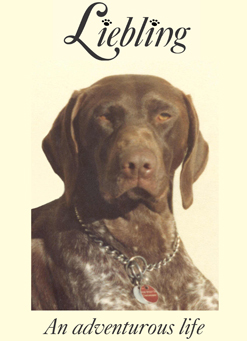 This is Liebling's story as seen through her eyes. 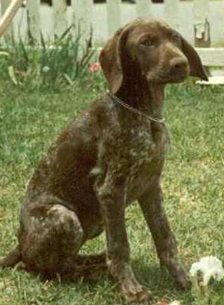 People will say that I was no ordinary German Shorthaired Pointer. Although born of pedigreed parents, I was not considered good enough for competition. But that didn't stop me from leading an adventurous life with my human mother, Jenny. I became a part of Jenny's tennis and business life, and acquainted myself with the neighbours and the gas workers. When I became a mother, oh the dramas! I did have a tendency to wander and my daughter assisted by digging the escape hole, while my sooky son refused to leave and would howl the alarm. We moved to a quaint little village where I fell in love with the family down the road, attended parties in the village and raised a Persian Chinchilla (cat, for the uninitiated). Moving to the Gold Coast meant more trouble. I frequented the casino and the local shopping complex and was kidnapped. I spent my retirement in sunny Manly snatching ice creams from unsuspecting small children at the local fair and seizing sausages meant for family barbecues. This is my life and a true Australian story.